Carly Fiorina: Christians, Muslims, Jews..pretty much all the same. 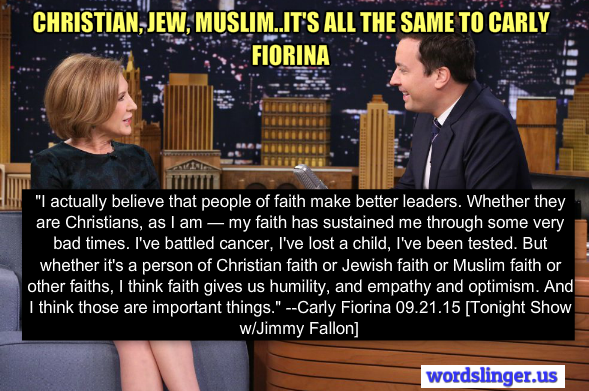 Not in those exact words, but Carly Fiorina told Jimmy Fallon that she would be OK with a Muslim president. "I actually believe that people of faith make better leaders. Whether they are Christians, as I am — my faith has sustained me through some very bad times. 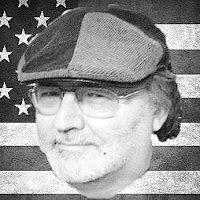 I've battled cancer, I've lost a child, I've been tested. But whether it's a person of Christian faith or Jewish faith or Muslim faith or other faiths, I think faith gives us humility, and empathy and optimism. And I think those are important things." Hey, so what's the difference? They're all just people of faith.